We have recently applied for Coinex exchange to list and have got approved for voting. This is the stage where we need the help of our community. As a very big family, we appreciate every single vote as they are all very important. Every vote costs 1 CET but for our supporters, we are happy to announce that we are allocating 1 Milion TNS to reward users who will vote for us. For every single vote we will be giving out 100 TNS to the users, below is the process which you would need to follow to vote for TNS. Step 4: You need to hold 1,000 CET tokens to vote if you don’t have CET tokens you can purchase it from their exchange. Remember each vote costs 1 CET so if you want to cast a single vote you should have 1,001 CET in your account. 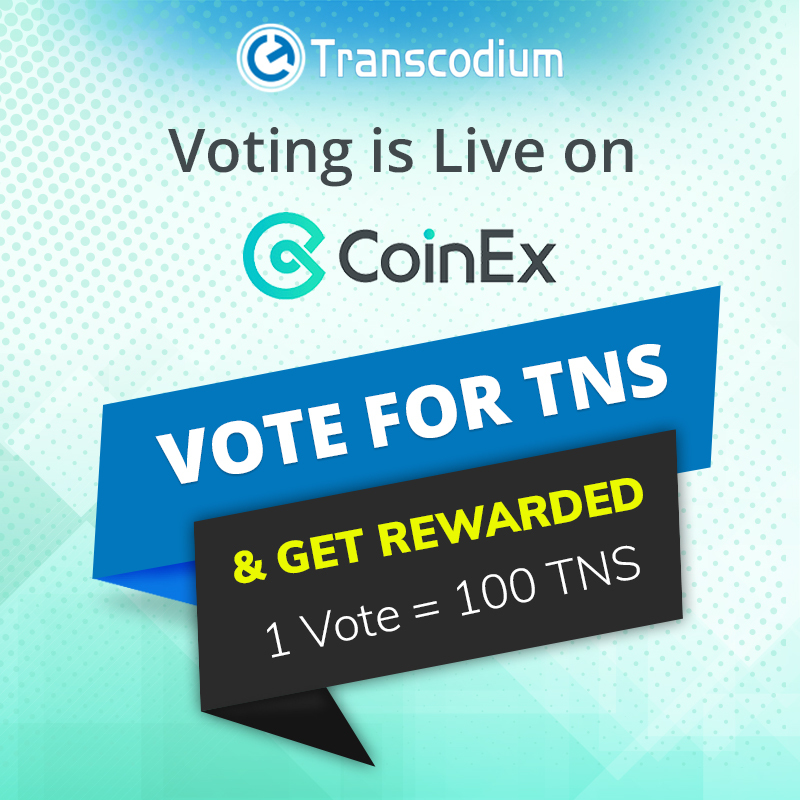 Step 5: Go to https://www.coinex.com/vote and search for TNS, now you can cast your vote for Transcodium. Screenshot the page before and after you cast the vote. Step 6: Fill out this simple form https://docs.google.com/forms/d/e/…. And now you are eligible to get 100 TNS as a reward.